M. Matthew salon Gift Cards are the perfect gift for every occasion and are available in any dollar denomination. 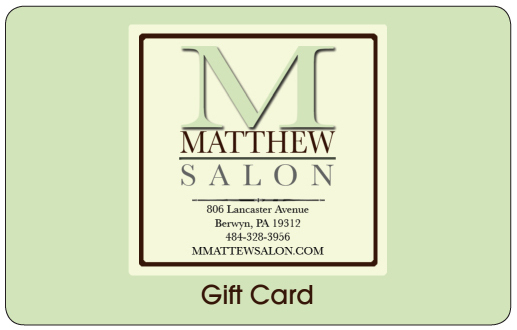 Gift cards can be conveniently purchased at M. Matthew Salon. If you would like a Gift Card to be mailed via US Postal Service, please contact the salon directly at 484-328-3956.